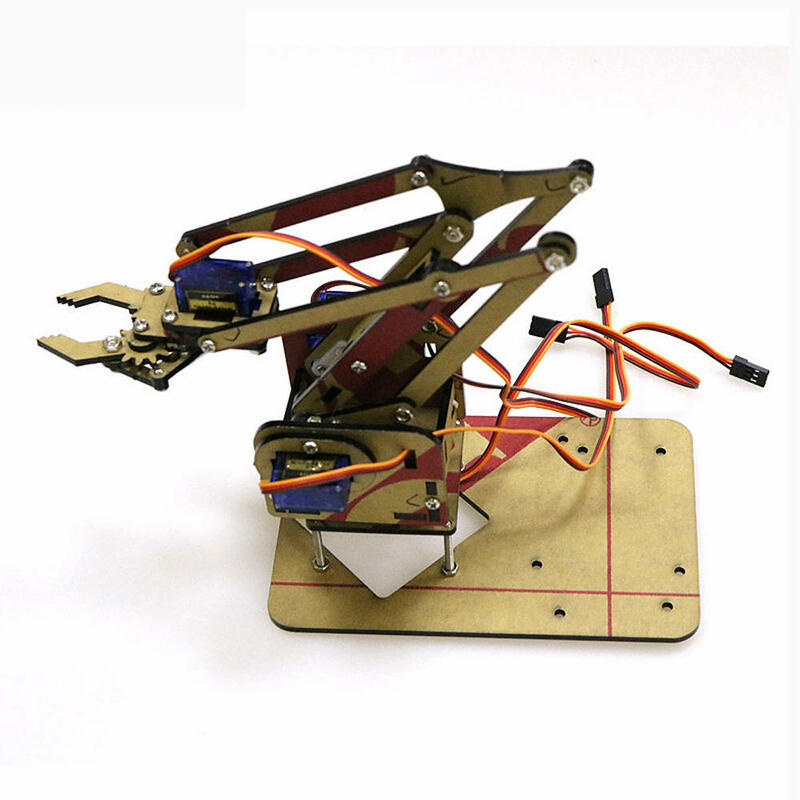 Note: The kit does not include 9g SG90 servo now. 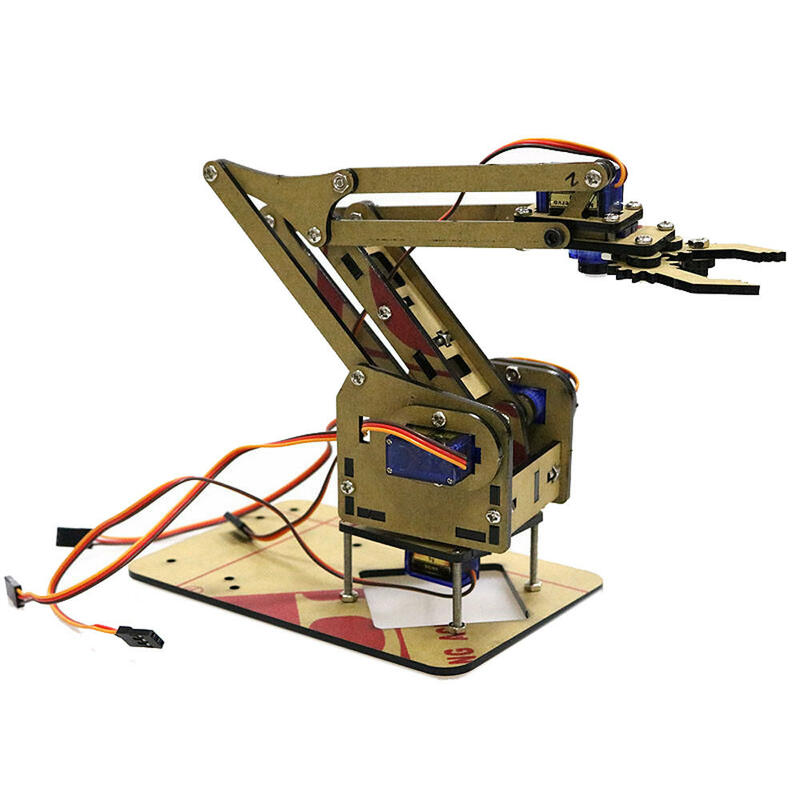 The servos will send as a gift on the order page, while stock lasts. 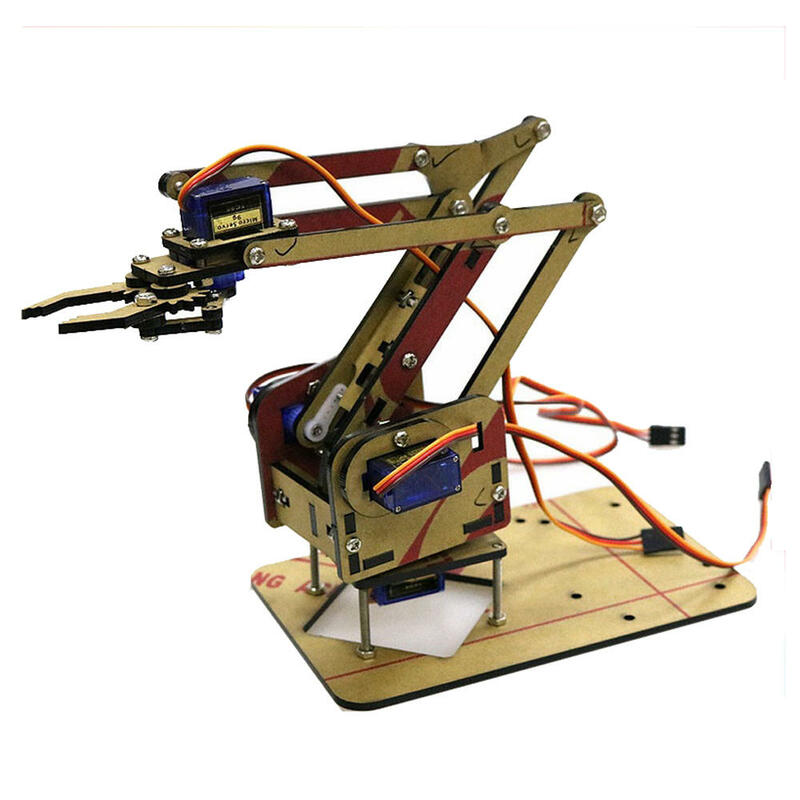 - Affordable 4-DOF manipulators, each articulated with sg90 servo, the overall use of wood material, lightweight. - Can be controlled using Arduino. - It needs you to assemble by youself. But it is easy to DIY.